World Wildlife Fund (WWF) is making gift-giving easy and rewarding this holiday season through the release of the 2010-2011 holiday gift catalog. WWF’s 68 page gift catalog enables supporters to make a donation and select a symbolic animal adoption from a list of more than 100 species, ranging from favorites such as tigers, pandas and polar bears to new offerings, including barn owls, brown pelicans, and a tub of cubs. 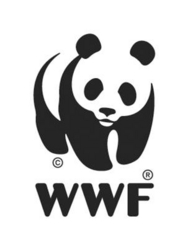 Other items in WWF’s gift catalog include WWF-branded gear and apparel. All symbolic adoption donations made through the gift catalog come with a formal adoption certificate, a color photo of the adopted species and a species description card. Adoptions of $50 or more come with a soft animal plush of the adopter’s choosing and are shipped free to anywhere that the United States Postal Service delivers. Symbolic adoption donations levels range from $25 to $250, with gift proceeds directly funding WWF’s conservation work around the world. For more information about the catalog or to make a donation by phone call 1-800-CALL-WWF (800-960-0993) Monday - Friday 8 a.m. - 10 p.m. EDT, Saturday 10 a.m. EDT - 6 p.m. or Sunday 10 a.m. - 10 p.m. EDT. Online donations can be made at http://www.worldwildlife.org/giving.